The signing of the Farm Bill into law Thursday — with a provision that legalizes industrial hemp — has kickstarted a debate concerning the legality of cannabis ingredients in food and drinks. Congress has called for a status quo position with respect to the FDA's regulatory role in cannabis and cannabis-derived compounds, giving the agency the latitude to provide regulatory pathways for products containing cannabis and cannabis-derived compounds, FDA Commissioner Scott Gottlieb said in a statement. The agency reiterated that cannabis and cannabis-derived products claiming therapeutic benefits should go through the regular drug approval process before being introduced to interstate commerce. As of now cannabinoid, or CBD, and tetrahydrocannabinol, or THC, which are active ingredients in FDA-approved drugs, cannot be part of food, or sold as, or in, dietary supplements, according to the FDA. This is in line with the requirement FDA applies across the board to food products containing substances that are ingredients in any drug. In a new development, the FDA conceded that there are pathways available for those who are looking to introduce these products into interstate commerce, both as part of a human or animal drug or as an ingredient in food products. "The FDA will continue to take steps to make the pathways for the lawful marketing of these products more efficient," Gottlieb said. A case in point is GW Pharmaceuticals PLC- ADR (NASDAQ: GWPH)'s Epidiolex, which the FDA approved for treating seizures associated with two rare and severe forms of epilepsy. 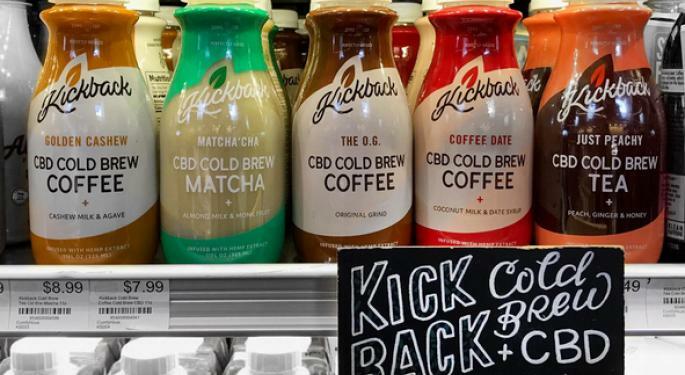 Gottlieb kept the door open for the possibility of issuing a regulation allowing the use of cannabis-derived compounds in a food or dietary supplement. The FDA is taking new steps to evaluate whether it should pursue such a process, he said. "However, the FDA would only consider doing so if the agency were able to determine that all other requirements in the FD&C Act are met, including those required for food additives or new dietary ingredients." 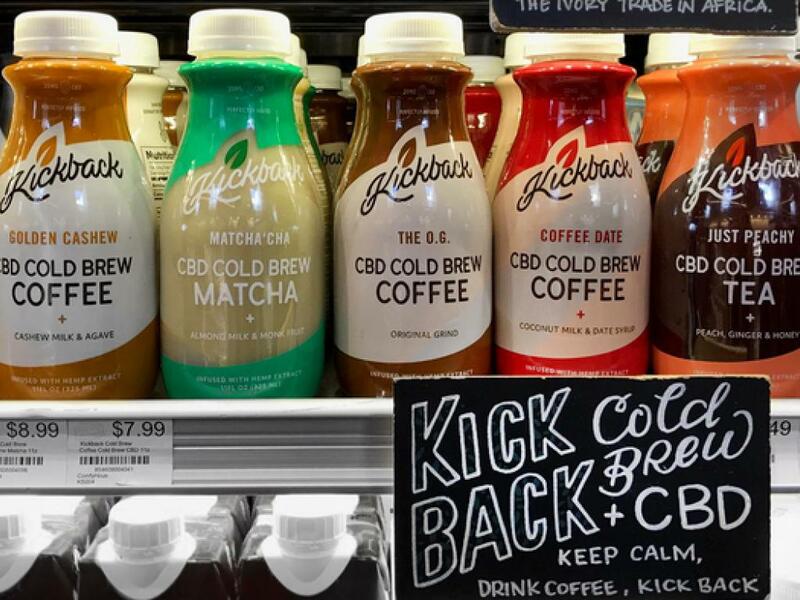 The FDA said it has advanced the lawful marketing of some foods derived from parts of the hemp plant that may not contain CBD or THC, with hemp seeds, hemp seed protein and hemp seed oil being the three ingredients that are marked as safe. The agency said it will hold public meeting of all stakeholders to deliberate and mobilize information and views related to safety of such products. "We're committed to pursuing an efficient regulatory framework for allowing product developers that meet the requirements under our authorities to lawfully market these types of products," Gottlieb said in the statement. Tilray Inc (NASDAQ: TLRY) was sliding 6.25 percent to $73.40. Canopy Growth Corp (NYSE: CGC) was down 2.57 percent at $26.89. 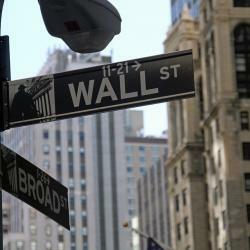 Cronos Group Inc (NASDAQ: CRON) was down nearly 4 percent at $10.69. Aurora Cannabis Inc (NYSE: ACB) shares were slipping 4.31 percent to $4.88.